Most of us may have seen a picture of the African woman carrying a child on her back, a pile of chopped wood on her head, and in addition, some harvest from the farm or a bucket of water. That picture depicts an African woman as an epitome of strength. Not just physical, but psychological and intellectual strength as well. It shows the will and determination to persevere, provide and survive. In Africa, women are arguably the backbone of our communities, and elderly women, especially, are respected for their wisdom. The disturbing question then, is why we have very few prominent women leaders on the continent. Although the movement towards gender equality has continued to progress in the right direction, it is still dragging and leaving many behind, as is evidenced by gender development indexes across the continent. The percentage of women holding political leadership positions in Africa stands at 24.4% with the number of female parliamenterians in sub-Saharan Africa at 23%. Even in business where there is a semblance of empowered women leaders, statistics such as only 18/107 directorship positions being held by women and 12/109 corporate executive positions held by women in Tanzania exposes the nakedness of such illusions. In my view, two main challenges exist that hinder the empowerment of women to leadership positions. These problems ultimately reinforce each other. There is the problem of the negatively connoted status of women in society. We live in a rigid patriarchal society where the mindset of a majority of women and men consider the roles of women as secondary. This manifests itself into the compulsion to make the attributes of men the benchmarks for leadership roles. Second, is the internal struggle within and amongst women that subsists; African women are continuously challenged to overcome a two-pronged inferiority complex. They become prone to subconsciously question their self–worth when measured up against other races, and with the pressure to sacrifice their own needs in favour of men’s. The result is a vicious cycle of women clinging superficially to a questionable status quo and subjecting other women to practices that negatively affect both themselves and fellow women. The status of women and their empowerment is being addressed at various levels and platforms. There is a will and effort to expand opportunities for women to be fairly employed, and to be enabled in business and other economic activities. However, this may not be enough to rapidly expand the pool of women leaders on the continent. Unfortunately, this is due to the lack of discourse on the issue of strengthening women’s self-worth. We have been witness to the sheer unproductive (sometimes destructive) envy by some women at the success of other women. To cap it all, in events that propagate the themes of empowering women, we constantly see selective inclusiveness and apparent disunity, as almost all the invitees belong to the category of the arguably already empowered. Failure to brave the surrounding issues to this challenge may make the efforts to address the negatively connoted status of women futile. Africa’s women leaders must be at the forefront towards resolving this problem and they need to lead differently. It begins with first leading oneself. This leadership calls for a change in the mindset, a change in the general perceptions of a woman in society, and their inability to take leadership roles. Confidence and a feeling of self-worth are essential attributes of enabling a woman leader to bring on board fellow women and men towards a shared vision. Furthermore, the woman leader needs to be inclusive. This inclusiveness should of necessity transcend the demarcations of privilege. Women must help each other, rather than break each other, by their actions and practices amongst themselves. They should walk hand in hand, focusing on moving together with a mightier force, even if the pace would be slower. At the societal level, the woman leader must aim to lead in terms of influencing, shaping and changing the mindset of the people in her environment who are ignorant about or deliberately hindering in one form or another gender equality. She is a central component of the community and must encourage her sisters and brothers, her friends, her daughters and sons, her granddaughters and grandsons, her husband, his friends, and their neighbours to be part of the change. She must recognize, inspire and motivate other women leaders. This recognition should not come in waves that peak and subside; rather it should maintain a constant flow. For, at any time there are many women at various levels who are emerging as leaders and are in need of being motivated to lead further. As a group, women must own their empowerment. Like the African woman in the alluded to picture above, they possess the strength and ability to persevere and overcome the obstacles towards becoming prominent leaders. African women in leadership positions have and will have more to showcase and reconcile. They are ambassadors for all women in what is still a very much male-dominated world. They must strategically use their roles to enable more women to aspire towards and attain leadership positions. Disclaimer: The views and opinions expressed in the above article are the views of the author and do not necessarily represent the views of UONGOZI Institute. 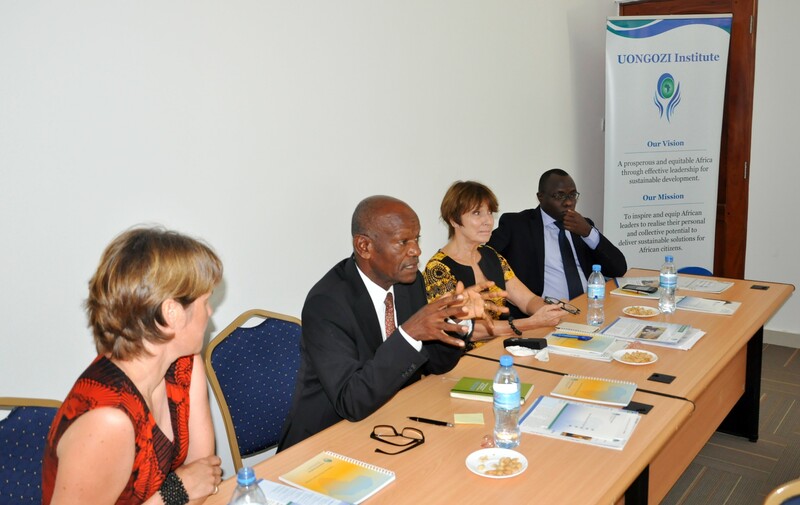 Chief Executive Officer of UONGOZI Institute, Professor Joseph Semboja (second from left) speaking to a delegation of journalists from Finland when they visited the Institute on Friday, 18 March, 2016. 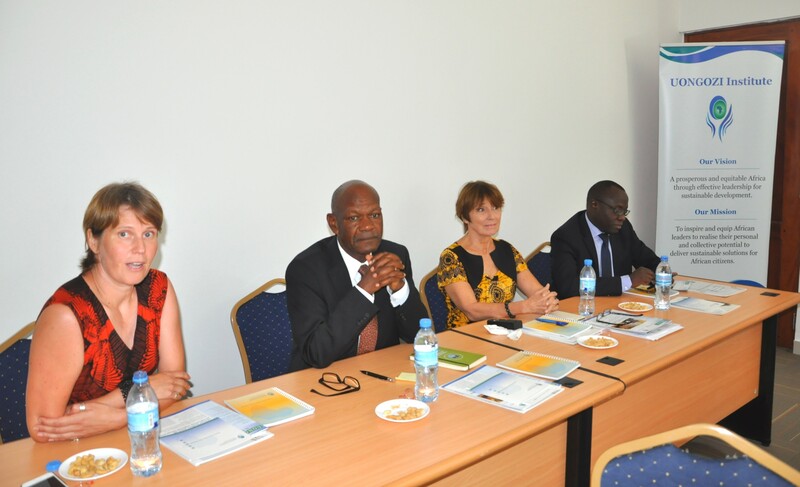 From left is the Head of Development Cooperation at the Embassy of Finland, Ms. Milma Kuttenen, Ms. Liisa Tervo, Partnership Advisor at UONGOZI Institute, and Mr. Dennis Rweyemamu, Head of Research and Policy at UONGOZI Institute. 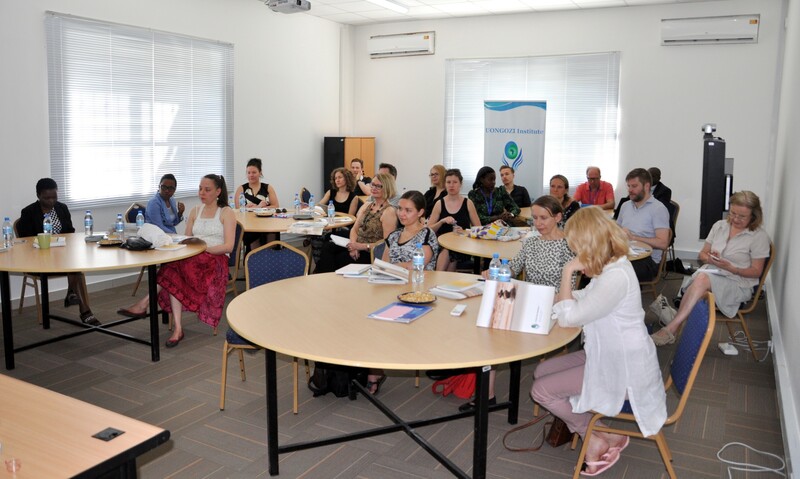 Delegation of 15 journalists from Finland who visited UONGOZI Institute as a part of a 5-day program organized by the Finish Ministry of Foreign Affairs, joined by officials from the Ministry of Foreign Affairs, Finland. 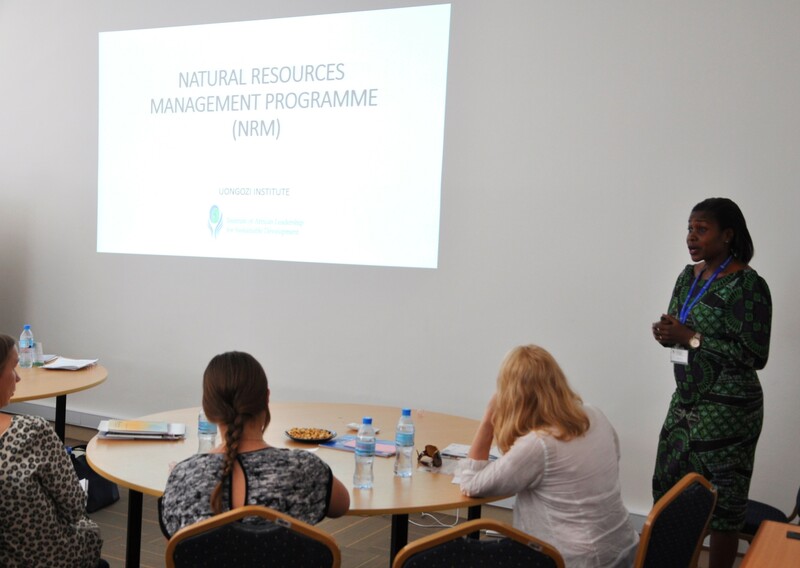 Natural Resource Management Programme Coordinator, Ms. Namwaka Omari (standing) delivering a presentation to journalists on UONGOZI Institute’s work on supporting the management of natural resources in Tanzania, with an emphasis on the oil and gas sector. One of the journalists from the Finnish delegation posing a question. Some of the issues that were discussed on the day included Tanzania’s work so far on sustainable development, capacity building for leaders in Africa, and the current state of Tanzania’s oil and gas sector. 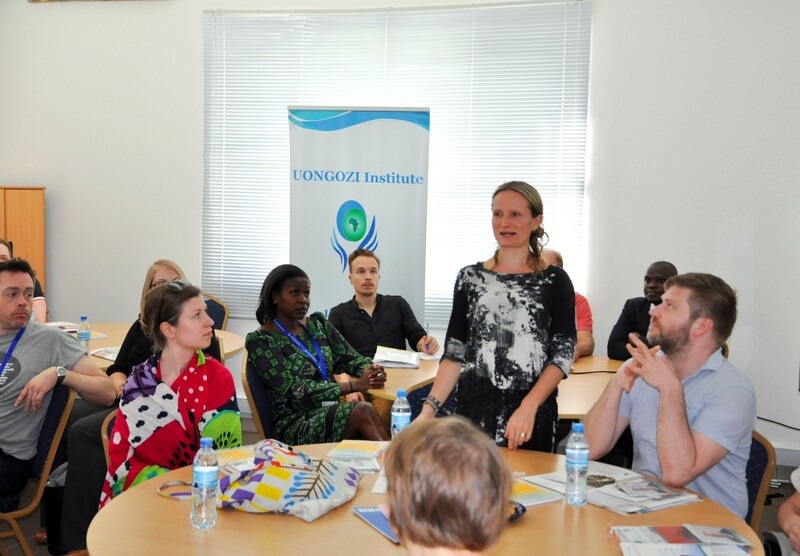 Ms. Milma Kuttenen, Head of Development Cooperation from the Embassy of Finland thanking UONGOZI Institute on behalf of the delegation of journalists and officials from the Ministry of Foreign Affairs in Finland for hosting the visit. Permanent Secretaries from different Ministries attending a training workshop on “Risk Management and Internal Control Systems” that was organized for Permanent Secretaries and Deputy Permanent Secretaries by UONGOZI Institute from the 8th to the 9th of March 2016. A facilitator conducting a Q&A session with the Permanent Secretaries after his presentation. A section of Permanent Secretaries participating in different discussions from various facilitators in the two day training whereby the first day was for the Deputy Permanent Permanent Secretaries. This goal, with a focus on governance, was not included in the Millennium Development Goals (MDGs), the preceding form of the SDGs. It is of particular importance for Africa due to its focus on institutions and policies that would serve as the basis for achieving many of the other goals. The targets under this goal emphasize the importance of peace, non-violence, rule of law and inclusiveness in society for development. It also includes targets on, more specifically, the reduction of illicit financial and arms flows, corruption and bribery in all forms; as well as the development of accountable and transparent institutions at all levels and ensuring public access to information. According to the 2015 Mo Ibrahim index, as a collective, Africa’s progress on governance has stalled since 2011. Although the figures vary from country to country, the index shows that there has been progress under Human Development and Participation & Human Rights, however Safety & Rule of Law and Sustainable Economic Opportunity have shown a decline. Specific areas of decline included public management, rights, accountability, the rural sector, national security and the business environment. More information on the 2015 Ibrahim Index of African Governance can be found here.